I have decided to try and read (or reread) as many of the School Library Journal Top 100 Children’s Novels as possible. I have many of them in my home library and have read quite a few but this will give me a focussed reading list over the next while. Yesterday, I read Judy Blume’s Tales of a Fourth Grade Nothing . It ranks forty-fourth on the list. 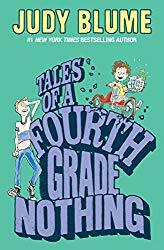 First published in 1972, Tales of a Fourth Grade Nothing is the first in a series that features brothers Peter and Farley. Nobody calls Farley by his legal name, he is known simply as Fudge. Fudge is 2 1/2 years old and is a constant source of annoyance for Peter. He goes into Peter’s bedroom and destroys a school project, he causes trouble at mealtime, he refuses to do what he is told. Peter is regularly asked to help adults “manage” Fudge and his antics. Adults reading the book will be sympathetic to Fudge’s mom and dad who surely must be at their wits’ end, trying to parent Fudge with patience and love. I have a lot of empathy for Peter. I am an older sibling and I can understand Peter’s frustration with his much younger brother. I well-remember times when my younger sister annoyed me by taking over a gift or wanting to join in something that I was doing with my friends. I even remember her scrawling yellow crayon on our dining room wall, much to the frustration of our folks. An easy read, and well-suited to readers at about a grade 3 or 4 level, I recommend this story of coping with a younger sibling as a fun read-aloud or a good introduction to the Fudge series for an independent reader. A couple of notable items – in Chapter 3, when the children are headed to the park, Peter remarks, “Both my mother and my father are always warning me never to talk to strangers in the park because a lot of dope-pusher hang around there. But taking dope is even dumber than smoking, so nobody’s going to hook me!” There are no further references to smoking or dope. Both of these entries provide opportunities to talk with children. On the one hand, Blume gives adults an opportunity to talk with children about safety in a park and illicit drug use. Likewise, there is an opportunity to discuss gender stereotypes and the division of labour in a family. Read Jody’s post about Judy Blume’s Freckle Juice here. Each St. Patrick’s Day, rival towns, Trala and Tralee compete, and year after year Tralah wins the competition and is declared “Best Decorated.” When one young resident of Tralee proposes a way to win the upcoming event, her suggestion is embraced by the residents of the town. Everyone gets involved in the project until a small man arrives in the town and asks for help. Folk art style illustrations beautifully enhance a terrific story that explores themes of social responsibility, community and kindness. A Fine St. Patrick’s Day is highly recommended for children aged four years and up. 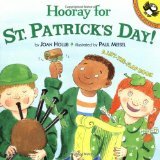 Best for very young children, Hooray for St Patrick’s Day shows a racially diverse group of children trying on costumes, playing with puppets, doing crafts, dancing, parading and snacking as they celebrate St. Patrick’s Day together. Just fifteen pages plus a glossary, it is a suitable introduction for children aged two years and up. 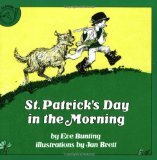 Part of a series of “Let’s Celebrate” books, Let’s Celebrate St. Patrick’s Day answers questions children in the primary grades might ask. Who was Saint Patrick? Why do we celebrate St. Patrick’s Day in America? Why is everything green on St. Patrick’s Day? Young readers will have fun with the Irish-theme riddles featured on the end papers. 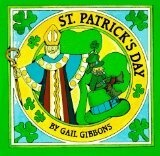 As one might expect from Gail Gibbons, St. Patrick’s Day is thorough look at traditions associated with Saint Patrick and ways people celebrate March 17th. Clear, bold illustrations are well suited to a read aloud setting and compliment the text nicely. The treatment of Saint Patrick and his life is more complete than in other comparable non fiction titles and legends association with him are briefly touched on. Suitable for children aged four years and up. Part of a series of “Mrs. 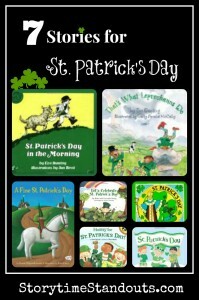 Madoff” books, St. Patrick’s Day follows a young boy as he goes to school on St. Patrick’s Day. He and his racially diverse classmates are working on reports and they present their discoveries dramatically, musically, pictorially and in written form. Once the school day ends, Delicious soda bread awaits at home where the family’s Irish heritage is celebrated. Suggested for children aged five years and up. When Jamie is told that he is too young to walk in the St. Patrick’s Day parade, he takes matters into his own hands. He starts out before the rest of his family awakens. He dresses in his mother’s raincoat and his father’s hat. He takes his brother’s flute and the family sheepdog and, with great determination, heads to Acorn Hill. They marched down the street. None of the chimneys was smoking yet. Milk bottles stood on front steps, waiting to be let in. Encounters with neighbors are just one highlight of this gentle story of independence and growing up. Highly recommended for children aged four years and older. 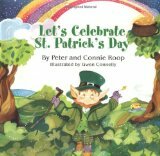 Boys and Girls will delight in this look at St. Patrick’s Day from the perspective of a trio of playful leprechauns. Boo, Col and Ari have important work to do but it is fun to make mischief and they can’t resist temptation. Ian’s mom is reluctant to have him go to the park with his sisters. She warns the two girls to keep a close eye on him. Enroute to the park, the children pass a diner. Ian is fascinated by the circling ceiling fan. He hardly notices the siren of a passing fire truck but seems to hear something else. Not interested in fragrant lilacs, Ian would rather put his face up to a brick wall. Ian feels things differently … while Tara and I toss cereal to the ducks, Ian lies on the ground with his cheeks pressed against the hard stones. Ian is non verbal and sometimes waves his hands. Aware of how Ian is different and conscious that other people watch him, his sister acknowledges that she sometimes feels angry. When Ian wanders away while they are all at the park, his frantic sisters race to find him. Finally, Julie tries to think like her brother does. She remembers he likes a bell and, sure enough, finds him underneath it. As the three siblings return home, they pause to enjoy the walk and especially the sights, sounds and smells that matter to Ian. Ian’s Walk acknowledges the frustrations of loving a sibling who is autistic and encourages young readers to consider a different perspective. Beautiful watercolour illustrations enhance the narrative and lovingly depict the children’s facial expressions. Ian’s Walk is written from the perspective of a sibling. Written from the perspective of a sibling, Waiting for Benjamin A Story about Autism deals with several issues that are important to brothers and sisters of children who are diagnosed with Autism. Alexander is frustrated. His younger brother doesn’t play with him. Instead, Benjamin wiggles his fingers and stares at the wall. Alexander can’t wait for Benjamin to grow up and take an interest in the same things he likes. Benjamin’s older brother has other worries, too. He worries that his friends will tease him about his brother’s unusual behaviour and he feels jealous. He doesn’t understand why Benjamin is rewarded for seemingly easy behaviours like saying, ‘ball.’ Alexander would love to be praised and to share in the special treats. I wanted it to be my turn. Then I would say everything perfectly, and Julie would smile and give me a special reward. Waiting for Benjamin follows Benjamin from before his diagnosis until he learns a few words and begins to respond to his older brother. Best suited as a family resource, this Autism picture book focusses on the relationship between the two brothers and ends on a somewhat positive note with Alexander gaining understanding about his brother’s challenges and Benjamin showing some interest in playing with his brother and attempting some words. I sincerely hope you are familiar with Sam and Stella. 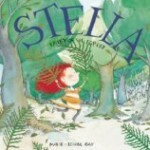 The (younger) brother and sister are featured in the wonderful books that make up Marie-Louise Gay’s Stella series. In Good Morning, Sam , Sam is front and centre as he begins his day. As always, Ms. Gay’s depiction of the siblings’ relationship is tender and sweet – Sam strives for independence until he needs his big sister’s help. Simply illustrated and told, this story will captivate young children and their families.